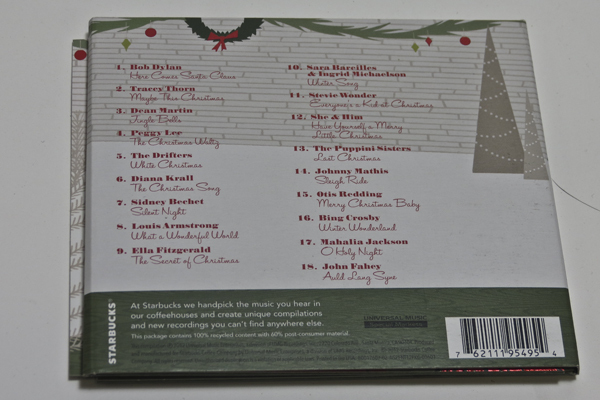 One of my Christmas Bucket list items was to get the annual Starbucks Christmas CD. Well, when I got to Starbucks, they had not one, but two Christmas CDs. So, technically only one of them was the official Starbucks compilation, but that didn’t stop both of them ended up coming home with me. 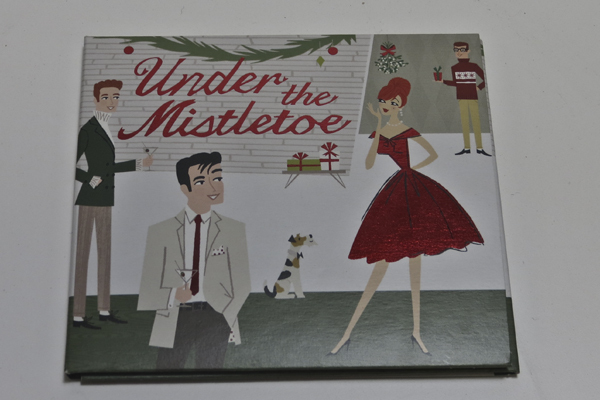 The first CD (the official one) is called Under the Mistletoe and it is a total keeper. 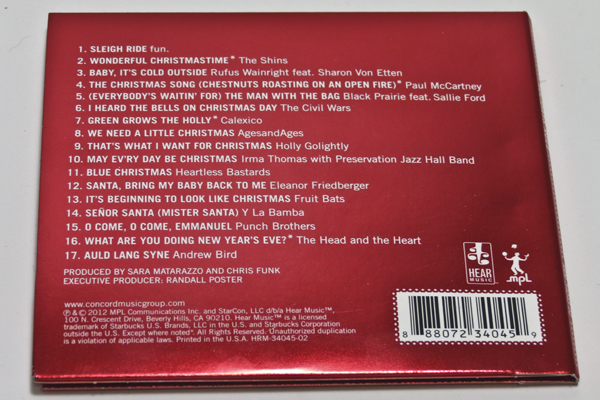 Seriously, I don’t even like the song Last Christmas, but the version on this CD (by the Puppini Sisters – song number 13) is great… it is what the song would have been like had it been originally recorded by the Andrews sisters as opposed to Wham. Oh! And who doesn’t love a CD that has What a Wonderful World by Louis Armstrong? It might not traditionally be a Christmas song, but trust me when I say that it totally compliments the other selections on this album. 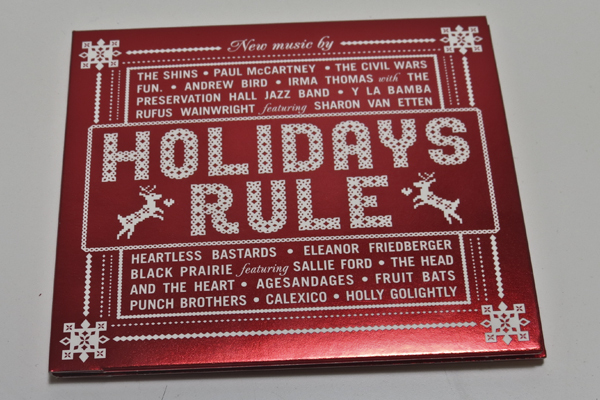 The second CD (the non-Starbucks one) is called Holidays Rule and with its bright red cover featuring Christmas sweater motif, how could I possibly resist? With songs from the likes of Fun., The Shins, Rufus Wainright, and Paul McCartney, this CD is a total hipster dream. It’s fun, upbeat and a little jazzy (Sleigh Ride by Fun. and Baby It’s Cold Outside by Rufus Wainright feat. Sharon Von Etten are my personal favorites). All in all, I’ve been pretty impressed with the Christmas Albums this year.